​Your company will be exhibiting at PACK Expo, what is it that makes this an important event for your company? Encoders are a vital component in packaging machinery, yet even some engineers are not well-versed in the options for their equipment. PackExpo gives us a chance to get face-to-face with the engineers, designers, and OEMs who need encoders for their applications. Our Tru-Trac™ line of linear measurement solutions are always interesting for packaging applications. 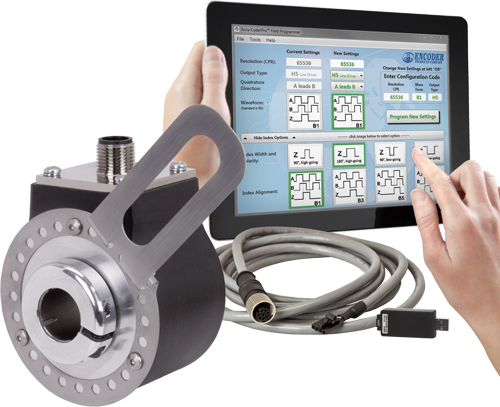 With an encoder and measuring wheel in one, compact unit, the Tru-Trac™ models are excellent solutions for many applications. It’s interesting to see the developments and advancements in the technology of motion control. We keep a close eye on that so we can gear our product development toward what’s coming next. We are not, but we have some interesting demos at our booth, including a dunk tank that completely submerges our Model 30M to demonstrate its IP69K seal! At events like PackExpo, our expectation is to interact with people whom we would not have had an opportunity to encounter through other channels. Our goal is to expose as many people as possible to our encoder solutions.